(By the thirties) "The Filipino writer in English may be said to have mastered the language well enough to enable him to observe the life around him without the language interfering... he felt he had sufficient control of it to be able to look at his material with a clear vision, unobstructed by language only partially possessed." "The writer is a writer exactly because he sees with language, not just with his eyes: only that has been which has been verbalized. The harsh truth is that the writer is a writer exactly because he lives with words: until experience is transfigured into words, it is not experience." Hailed as a National Artist of the Philippines for Literature in 1990. This short biography is lifted from the: Philippine National Commission For Culture and the Arts (NCAA) website. Francisco Arcellana, writer, poet, essayist, critic, journalist and teacher, is one of the most important progenitors of the modern Filipino short story in English. 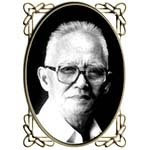 He pioneered the development of the short story as a lyrical prose-poetic form... Arcellana's published books are Selected Stories (1962), Poetry and Politics: The State of Original Writing in English in the Philippines Today (1977), The Francisco Arcellana Sampler (1990). Some of his short stories are Frankie, The Man Who Would Be Poe, Death in a Factory, Lina, A Clown Remembers, Divided by Two, and his poems being The Other Woman, This Being the Third Poem This Poem is for Mathilda, To Touch You and I Touched Her, among others. 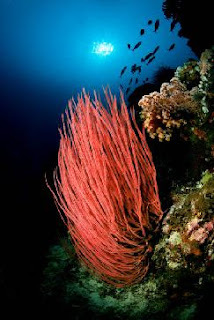 "The Tubbataha Reef Marine Park covers 33,200 ha, including the North and South Reefs. It is a unique example of an atoll reef with a very high density of marine species; the North Islet serveing as a nesting site for birds and marine turtles. The site is an excellent example of a pristine coral reef with a spectacular 100-m perpendicular wall, extensive lagoons and two coral islands." 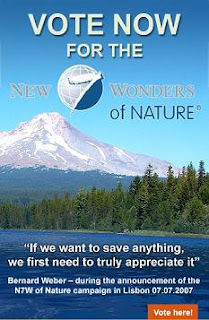 In 7-07-2007, New Open World Foundation spearheaded a historic nature campaign to revive love of nature and heritage from all around the world and in doing so may bring forth peace in essence. The New 7 Wonder of the World has already been announced based from over 100 million votes worldwide. The world is now looking for the New 7 Wonders of Nature (N7W). 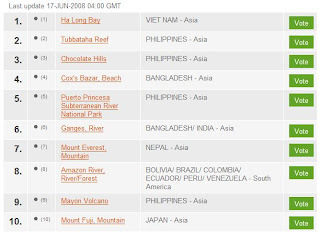 As of June 17, 2008- The Tubbataha Reef ranks number 2 in the nominations and three more Philippine sites are included on the Top 10 namely: Chocolate hills, Puerto Princesa Subterranean River National Park and Mayon Volcano. However, the voting is still ongoing thru December 31,2008. Until such time, the panel will announce the Top 21 finalists. From January 2009 up to the Summer of 2010, a whole new voting will progress, then the announcement of the New 7 Wonders of Nature. To be on the list isn't easy. It's a long arduous process and since it is a dynamic live ranking, we are never too secure that the Philippines will be included on the Final 21 and into the final 7. That's why we strongly encourage everyone, every Filipino and Filipino at heart to vote for Tubbataha reef and the three other sites that are already on the Top 10. Help us spread the word! Pitch in your vote today! 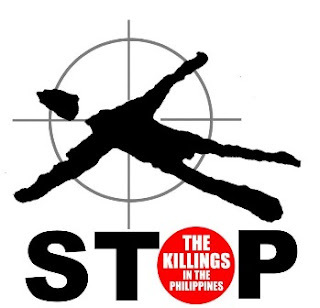 "The Philippine human rights situation in 2005 can be characterized by the wanton use of repression and state terror by a scandal-rocked President desperately clinging to power in the face of the people's rejection." "Human rights are highly mutable, kaleidoscopic even, and they depend for their special character on the character of the community which recognizes, enforces, and needs them to remain visible." "In the Philippines, the concept of human rights can be said to be deeply rooted in its history and in the ever enriching and enriched culture of Filipino society." "It's amazing what happens when we pay attention to the opportunities presented to us in life... People come and go in our lives, but they all bring gifts, insights and hints about our higher purpose here on earth." 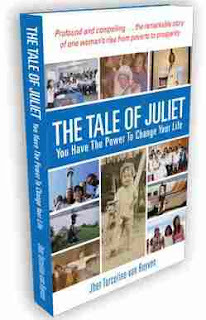 "I am so grateful that I had a humbling experience as a child, so that I now know that the strength of vision, a power of prayer, a burning desire and unwavering determination can change the course of one’s life. I am able to proudly tell the world that dreams do come true. Mine did, and yours can too."